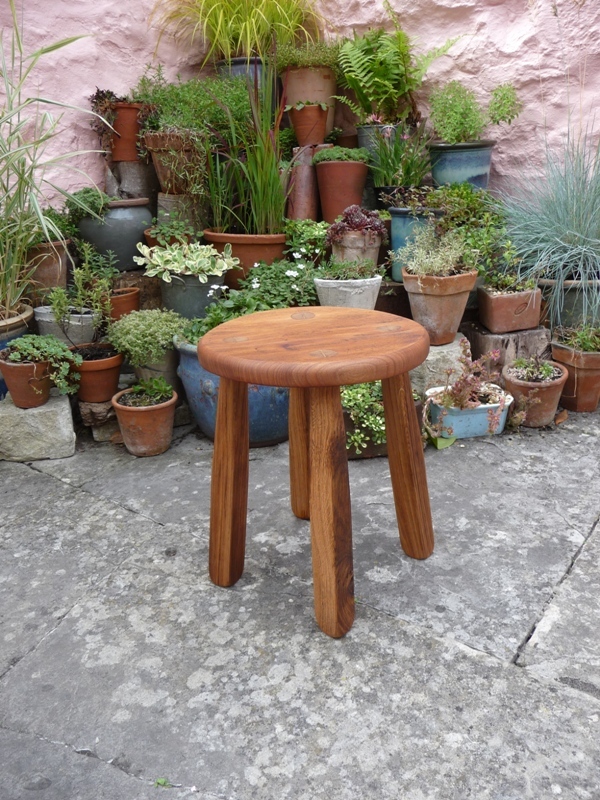 Whether you sit on them, stand on them, put your feet up on them, use them as side table, plant or lamp stand – or simply look at them – there’s no getting away from it, a stool is one of the most useful items of furniture to have in the home. 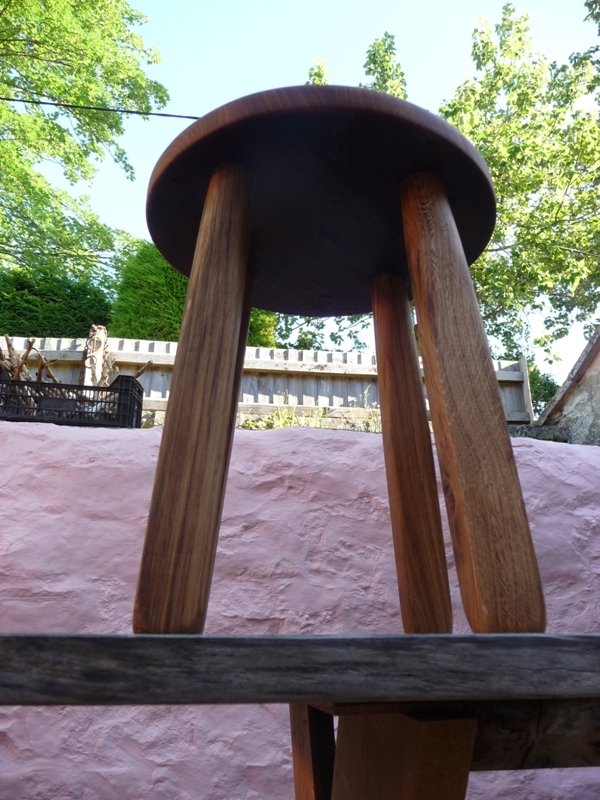 Pictured is a four-legged stool from Hooked on Hooks made from recycled wood. Please note that this is a handmade piece of furniture. 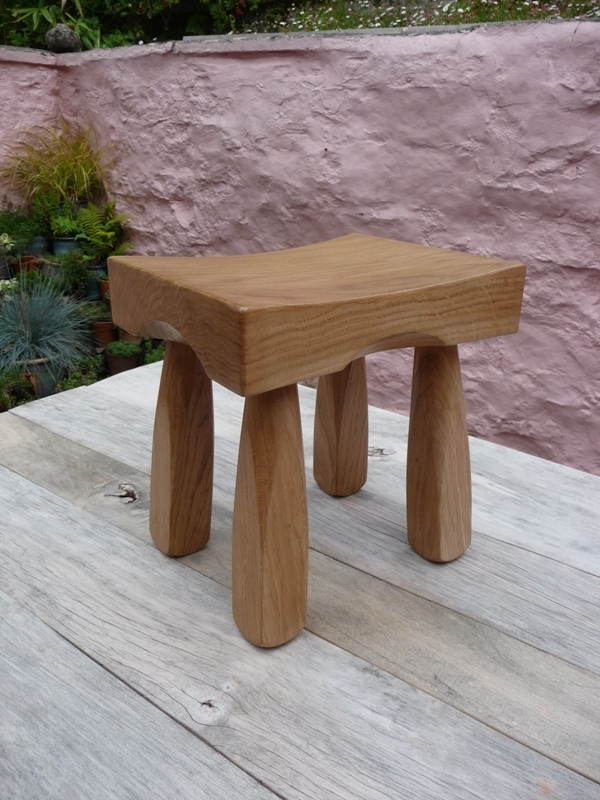 Each peg-jointed leg was painstakingly hand-shaved over several days using hand tools – literally, no lathe was employed. 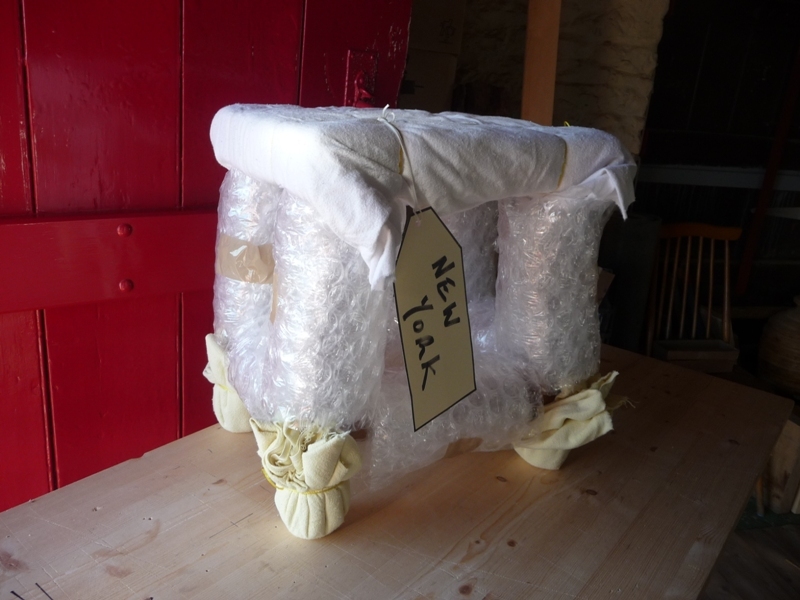 Crash-proof packaging…but will it survive the luggage handlers? 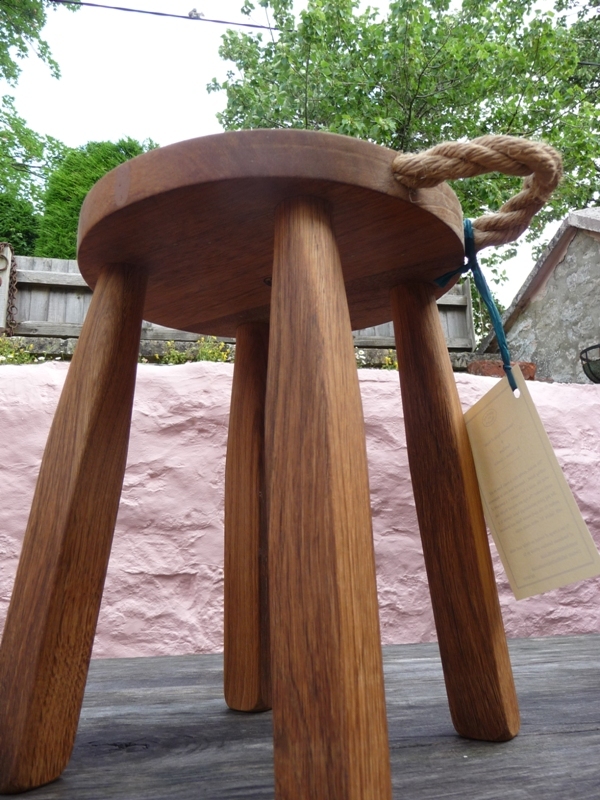 No prizes for guessing where this handmade oak stool from Hooked on Hooks is heading. Question: What do Peru, Chile, Russia, China, Slovakia, Thailand and 35 other countries all have in common? Answer: In 2014, in each country at least one person read one or more Hooked on Hooks’ blogs and checked out the Hooked on Hooks’ website. This may trigger nothing but yawns in readers from Ecuador to Nigeria, Slovakia to Japan, but excuse me while I pinch myself. Can this really be happening? Is it really true? How can a one-man operation in a small town in a forgotten corner of Wiltshire be so international? Well, according to WordPress’s Annul Report, Hooked on Hooks was indeed discovered, via my blogs, by people in 41 countries worldwide. (Just this week, a lady in New Orleans asked me to design and make a croquet mallet rack). 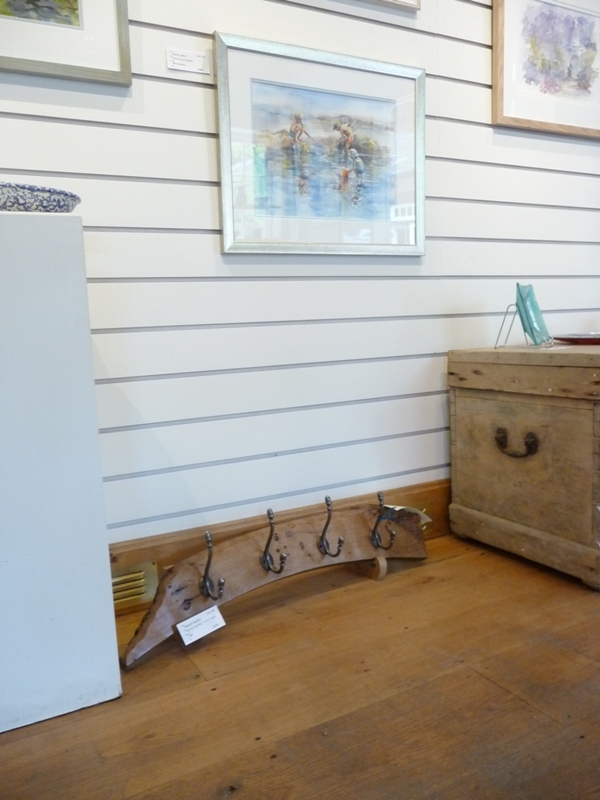 If nothing else, it just goes to show, everyone needs a rack of hooks for something! And whoever those ‘surfers’ might be in Peru, Thailand, Argentina, Slovakia, Japan and dozens of other countries, I can’t thank you enough for your interest… and do feel free to ask for a quote for international shipping! Every dog has its day….Every coat rack maker has his holiday…Mine starts Fri September 26th and runs until Mon October 6th. 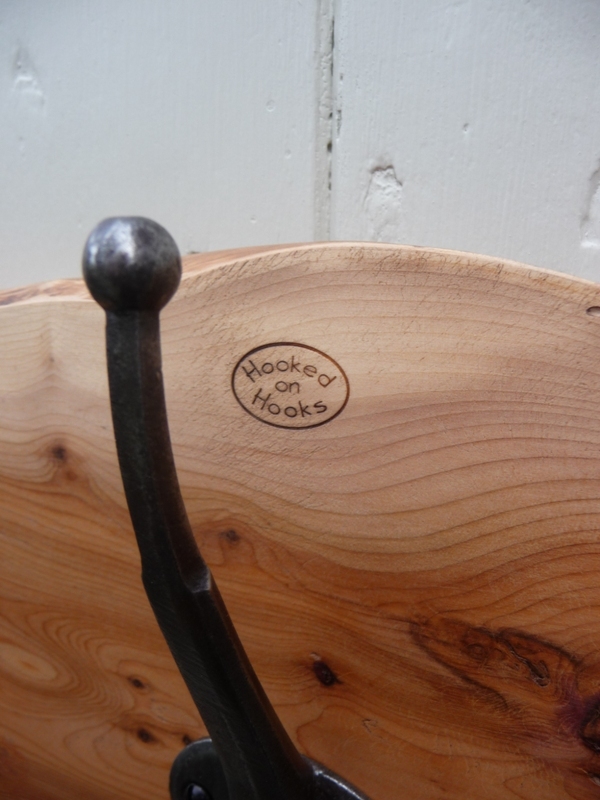 Thanks to an I-Pad, I am contactable at hello@hookedonhooks.co.uk, for any tentative enquiries. Any items bought from the Hooked on Hooks’ PRODUCTS page will be packed and sent the day after my return from holiday – MANY APOLOGIES for the delay. When is a coat rack not a coat rack? By way of expanding the Hooked on Hooks’ line-up, I have decided to add furniture items per se to my repertoire. 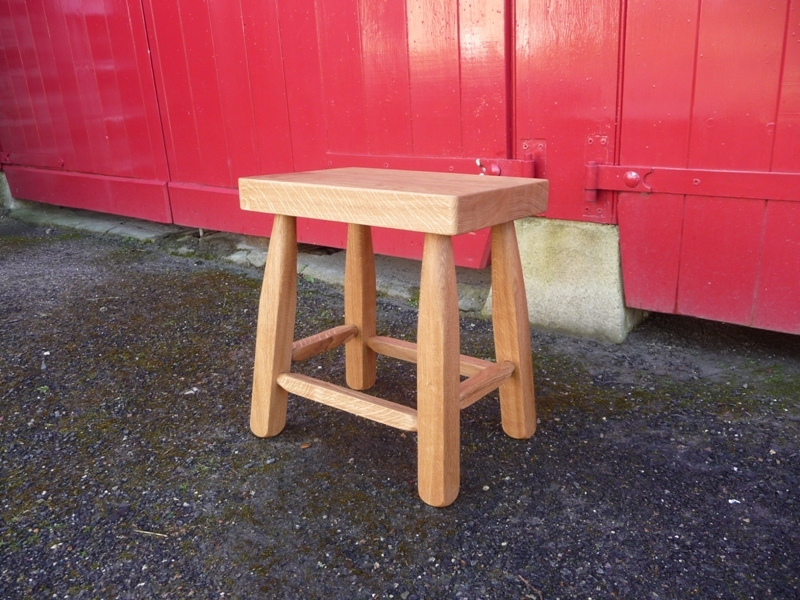 I have made stools before, as well as other items such as nest tables, garden tables, clothing rails, shelf units and so on, but this is the first time I’ve made a non-coat rack piece for stock. 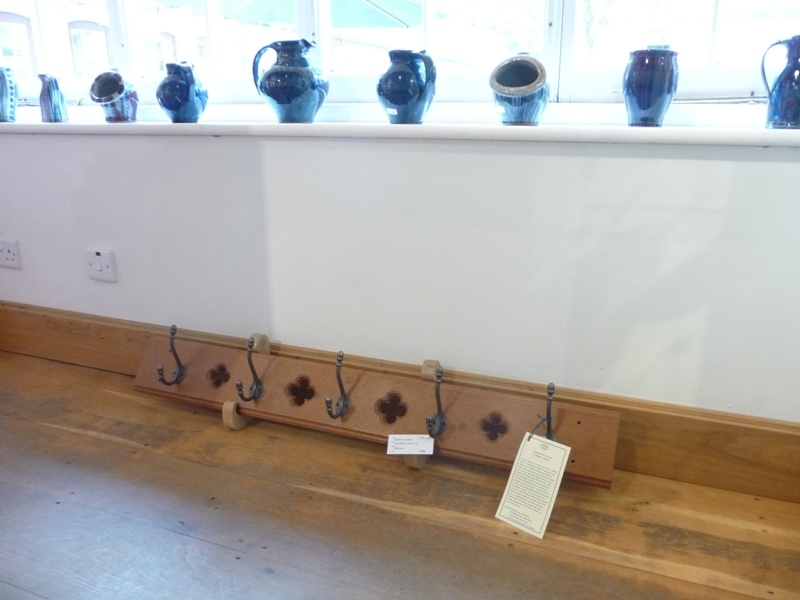 The stool is currently on display at The Gallery, Stourhead, along with several Hooked on Hooks’ coat racks. 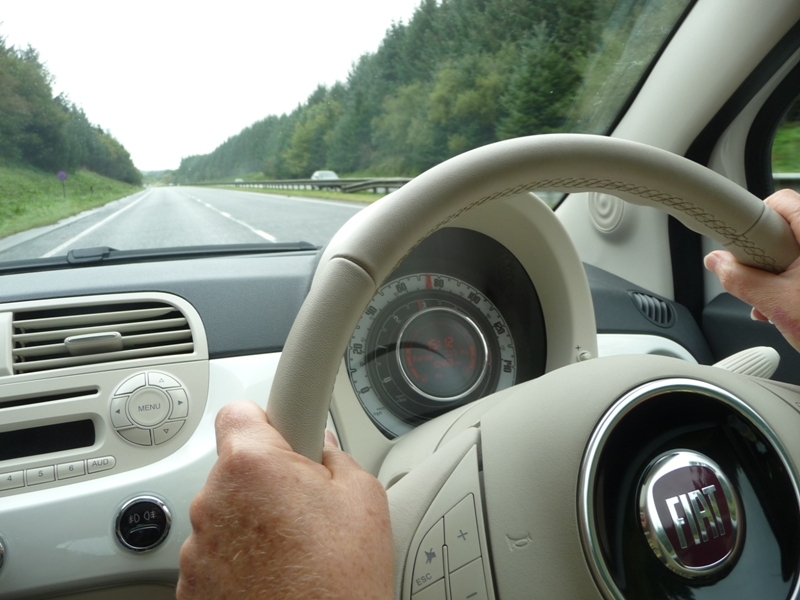 Don’t be put off by this. If you are interested in these items (details can be found in the Products section of my site at http://www.hookedonhooks.co.uk/c/19/all-products), just email me -Steve Gamblin – at hello@hookedonhooks.co.uk and I’ll confirm availability and retrieve the item for immediate dispatch, if required. 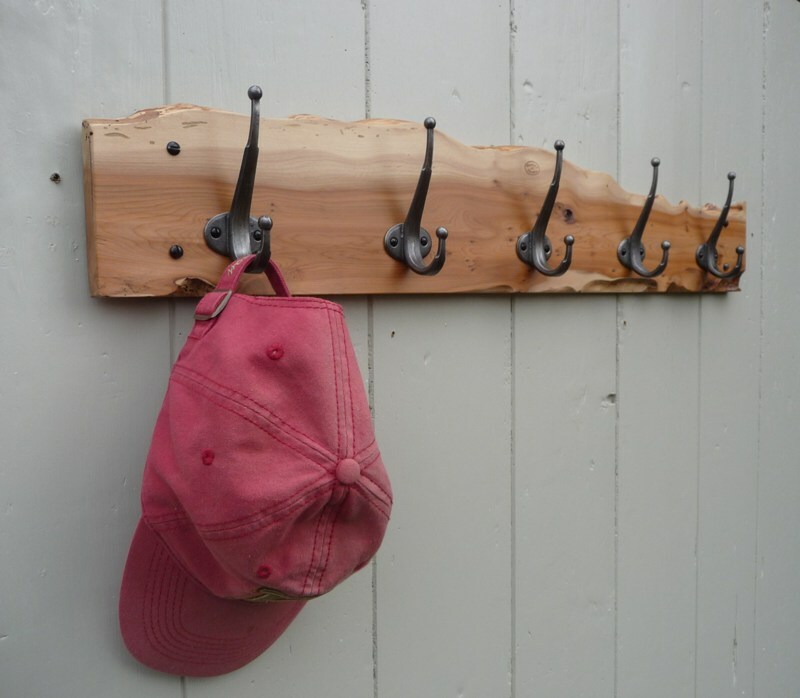 Full selection of coat racks: http://www.hookedonhooks.co.uk/c/19/all-products.